Packing up your entire house makes moving difficult enough. Moving to a smaller place poses even more challenges, forcing you to part with treasured possessions and favorite pieces of furniture. When it comes to moving to a smaller space and staying stylish, there are a few things you can do to ease the pain of loss. Downsizing begins with the packing process. Before moving large furniture, measure items to make sure they fit comfortably in your new place. As much as you love your sofa, you may need to replace it for a smaller piece to avoid crowding your living room. Don’t pack any large pieces without knowing exactly where they will fit in your new place. Donate or sell any items in storage you haven’t used or seen in more than a year. Organization is key when living in a small space. There are many stylish ways to store everyday essentials. Use baskets and boxes to store seasonal clothing under the bed, make the most of drawer organizers, and try floating shelves for shoes. 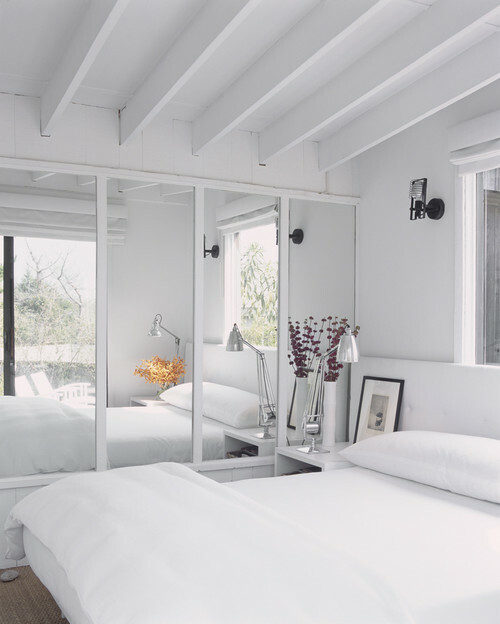 Mirrors are a great way to make small spaces look larger. Add a decorative frame and suddenly that mirror serves as a great art piece in your bedroom or living room. Turn to Pinterest for creative ways to decorate with mirrors. Loud colors and busy patterns quickly overwhelm a small space. 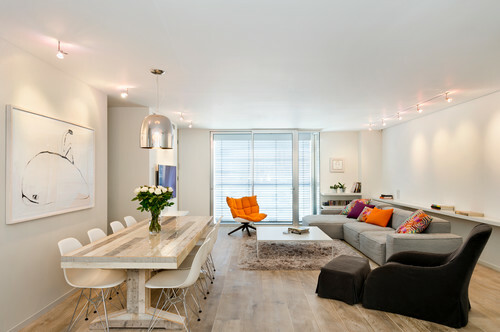 For large walls and furniture pieces, stick to neutral and light colors to brighten the room. Add colorful accents, such as pillows, throws, and vases, to add personality. A cream-colored couch is instantly more exciting with a couple of jewel-toned throw pillows. If we’ve learned anything from design blogs and HGTV shows, it’s that a compact apartment can look just as stylish as an oversized ranch house. All you need is a little creativity and determination. Focus on making rooms look larger with neutral and monochrome pieces, and rely on bright accents to liven up your space and pull the look together. Jonathan Deesing is an organization expert with imove.com. When he’s not testing out new ways to pack a cardboard box, you can probably find him playing Tetris to stay sharp.